Tumeric is one of my favourite types of immune support. Research suggests extracts of turmeric can relieve symptoms of indigestion, prevent irritable bowel syndrome and alleviate knee pain caused by osteoarthritis. Turmeric’s health benefits are attributed to an active ingredient called curcumin. 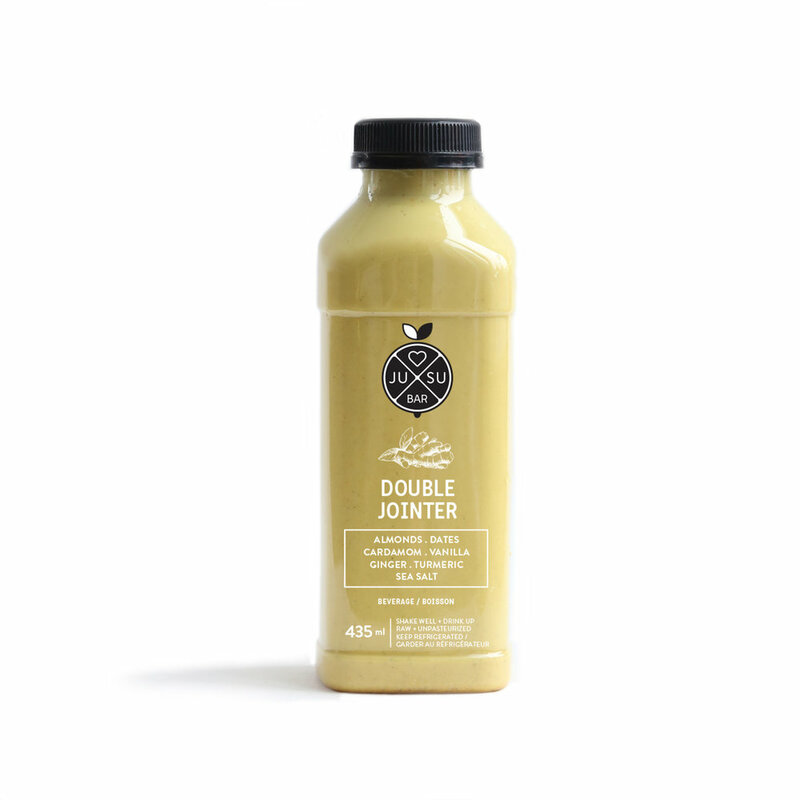 Try this bad boy cold-pressed juice the “Double Jointer” from from the good folks at Jusu Bar. Both ginger and turmeric have incredible anti-inflammatory properties, which means this soothing and delicious juice is also really good for you! Juicing also provides phytonutrients, the antioxidants we require for longevity and a strong immune system. Another consideration with juicing would be for people with digestive issues. Some people consume too many raw foods and actually consume too much fibre, so juicing over smoothies would be a better choice. **All opinions are my own. Good health everyone!